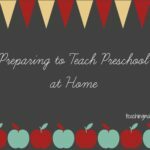 I’m often asked which are the best craft supplies for preschoolers. 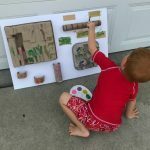 There are so many supplies out there that I thought I’d put together a list of my favorite and most-used supplies that we use for preschool! I’m kind of a craft junkie, so we’ve tried a lot of products and I believe these are the best of the best! 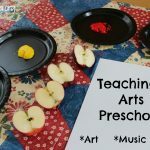 Here are the best craft supplies for preschoolers! 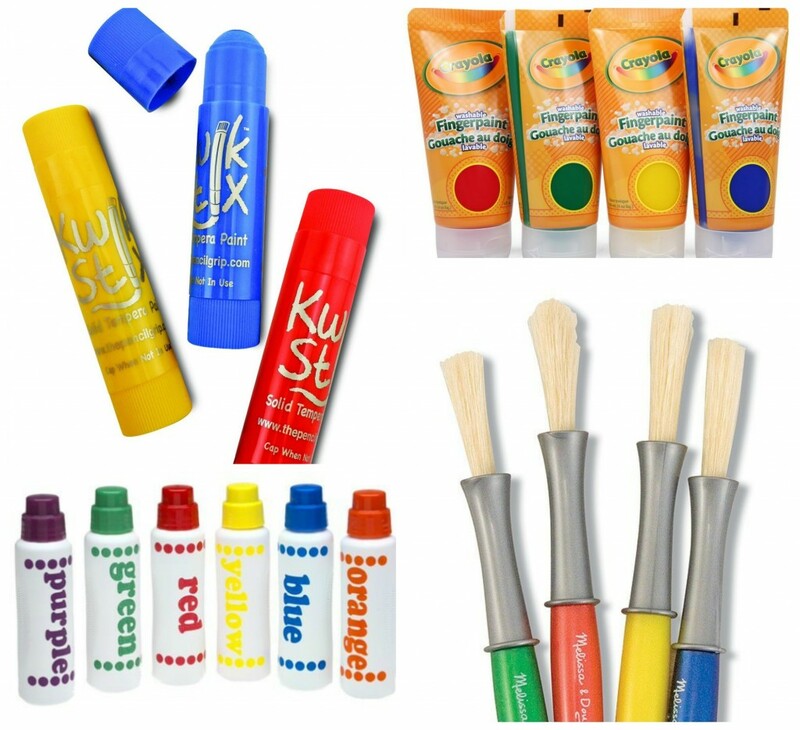 Kwik Stix Paint Sticks – This is my new favorite paint product! It’s like paint in a glue stick! There is no mess, easy to use, the colors are vibrant, and they dry so quickly. Crayola Washable Finger Paints – These finger paints are great for a quick and easy painting activity. Crayola Washable Kid’s Paint – We love Crayola. They are a dependable products for great results. Plus they are non-toxic! We love these little jars of paint for small projects or just creative paint time. Melissa & Doug Large Paint Brush Set – I love these brushes because they are big for little hands to hold. 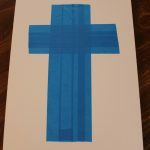 Melissa & Doug Drawing Pad – The quality of this paper is amazing. If you want your kids’ art projects on good paper, this is your pad! Crayola Washable Watercolors – Once again, I recommend Crayola for watercolors. Great quality and fantastic colors. Do A Dot Markers – We bought our set over 2 years ago and they are still working great! And we use them ALL the time! School Smart Non-Toxic Washable Tempera Paint Set – If you need paint for a large art project, this is the best kind! Plus it comes in lots of colors. Crayola Markers – I only buy Crayola markers…they are the best kind and they don’t dry out quickly. Crayola Crayons – Once again, I recommend this brand because they are the best! I find a lot of these supplies at big brand stores, like Walmart or Hobby Lobby. I’ll put links to some of these items below, but I’m sure you have some of these around the house! Googly Eyes – We use googly eyes almost daily! Glue sticks – I love this set because half of them are gel and the other are disappearing purple ones. Liquid Glue – Good old Elmer’s glue is the best! Pipe Cleaners – We use pipe cleaners all the time! There are lots of ways to use them. Paper Plates – We love to make animal masks on these, but you can do so many paper plate crafts! I recommend using sturdy ones. Brown Paper Bags – These are great for puppets! Safety Scissors – I love these 3 scissors for little hands. Easy to use and there are some fun ones in this set! 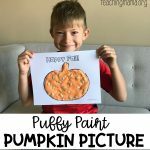 Felt Sheets – You can use felt sheets for lots of different crafts! Foam Sheets – We love these to use as an alternative to paper sometimes. Craft Pom Poms – There are so many colors and sizes. Get a variety of them so you can use them for various crafts. Glitter – You can buy glitter anywhere, but if you want the deluxe set of glitter, THIS is the kit! Love this one! Sequins – There are so many kinds of sequins you can choose from! Craft Magnets – We use the round magnets or strip magnets. Just make sure your little doesn’t put things in their mouths if you choose to use the round magnets. Contact Paper – This paper is so great to use when you want to seal something together or “laminate” a project. Save these supplies before they go into the trash! They will be so much fun to create with. Here are some fun ideas to make creating EXTRA special! Glitter Glue Pens – My kids LOVE it when we get these out! Chalk Markers – These chalk markers are so awesome! You can color on windows, chalk boards, paper and more! 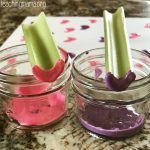 Colored Glue Sticks – Colored glue isn’t necessary, but it’s sure fun to create with! Glitter Crayons – Because glitter…why not?! 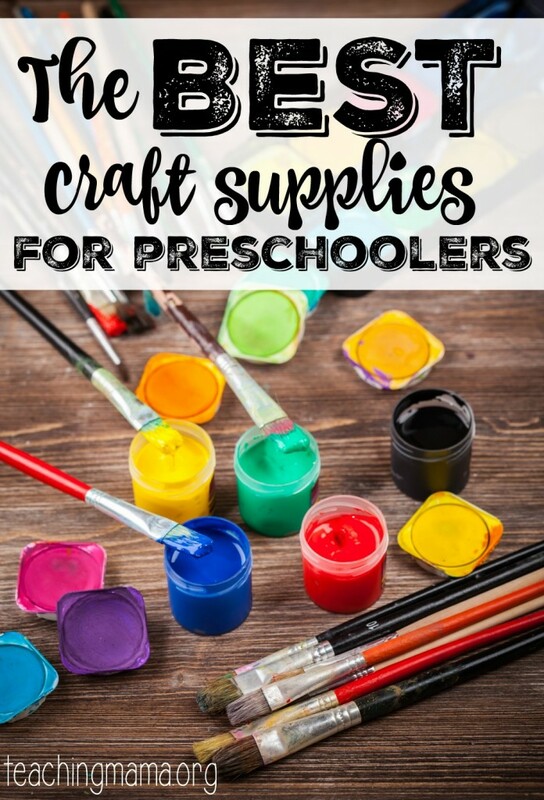 What else would you add to this list of best craft supplies for preschoolers? Hey…I would like to add Popsicle sticks to the list because we use them all the time.? Thanks for your list. yes!! Can’t believe I forgot that one! Thanks for sharing in… These craft tools are really amazing….